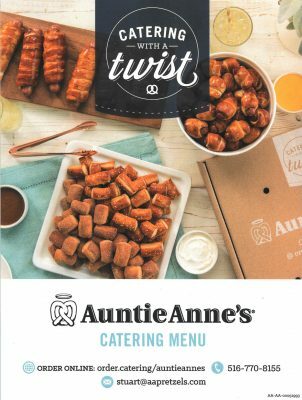 Whatever the occasion, Auntie Anne’s Catering offers a variety of products that will bring pure pretzel delight to your event! *They are happy to accomdate special requests- just ask! 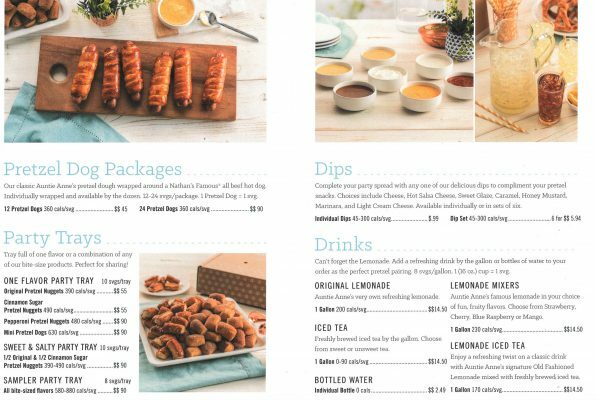 24-hour notice needed for orders over $50. 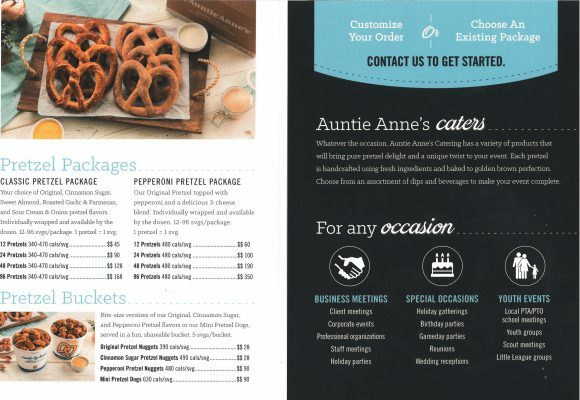 Delivery available at an additional fee.